Ciara finally lets the world see her baby boy. 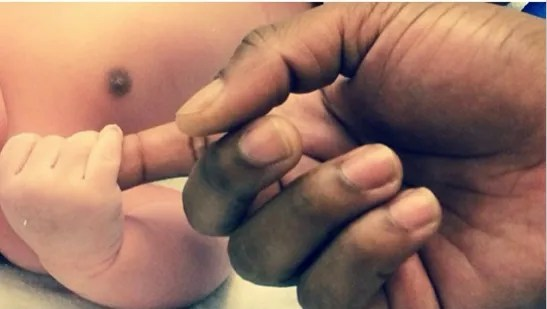 The Body Party singer showed off her one-month old on social media over the weekend. CiCi opted not to sell the first photo of her child, but instead posted it on Instagram. In honor of Father’s Day, Ciara expressed her love for her son and his father, Future. Future performed in Atlanta on Sunday night as part of Birthday Bash 19.